"I'm sure I put my bike here somewhere? ", originally uploaded by beeldmark. I've been looking to take this kind of shot here in Copenhagen for ages. 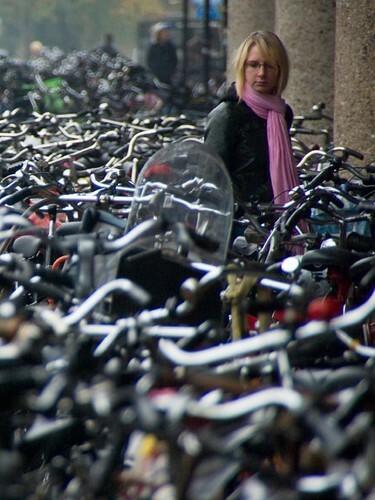 And then I found this great photo on Flickr, taken in Utrecht, by beeldmark. Says it all about established bike culture, really. The pros far outweigh the cons. The main con, according to Copenhagen cyclists, is bike parking. 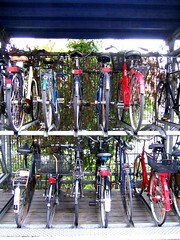 We have a number of double decker systems, but it is hard to control the massive number of bikes.